Sanitaire Heavy Duty vacuum cleaners were first offered to consumers in the 1950s. Then, in 1972, Eureka (our parent company at the time) launched the Red Sanitaire products for commercial users after repeated requests from dealers. The commercial cleaning industry was still relatively small at the time as most hotels, businesses, schools and healthcare facilities were independently managed with on-site cleaning crews. 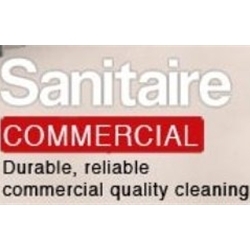 Sanitaire commercial vacuums and products have been serving commercial cleaners for over 35 years. These long-lasting vacuums are durable and service parts are readily available and cost efficient. Some professional cleaners have been using the same Sanitaire vacuum for 20 years. VacShack.com carries both the Commercial (Red) and the Professional (Blue) line of vacuums, equipment and their genuine supplies and parts and greatly reduced prices. We understand that in the commercial and professional world, time is important therefore we ship the products you order fast to be sure you can keep your business up and running.